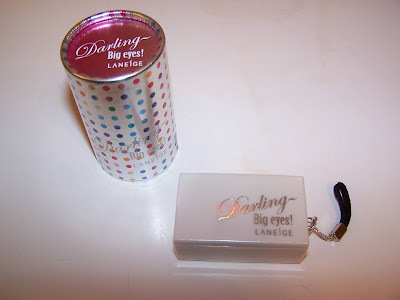 Laneige released a Limited Edition Palette a few months ago entitled Darling Big Eyes. 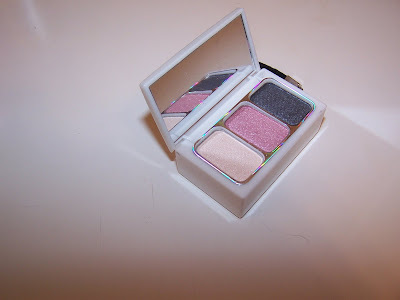 I originally saw this on Kathi’s reviews (Click here to visit her) and I knew I had to have it! After searching for this in a few countries (Singapore, China, Japan, Etc…) I failed to locate it. It’s like Where’s Waldo to locate this damn thing! Seriously, I’ve had problems locating cosmetics in the past but this particular palette was ridiculously elusive. After some serious hard work I ended up giving up on it and chalked it up as being something I’d lem for life but never own (how dramatic am I?). A week ago I got a random package in the mail and low and behold when I ripped open the envelope out spilled the very difficult to locate Darling Big Eyes Palette! Oh Joy! I was crying in excitement! Turns out a “virtual” friend of mine on MUA had sent it to me as a little present as I gifted her a bunch of tarts and a warmer a few months ago so she remembered how much I was wanting this palette and came across it and got it for me! I now have in my possession this ultra cute palette! You can’t honestly say this isn’t the cutest thing you ever seen! 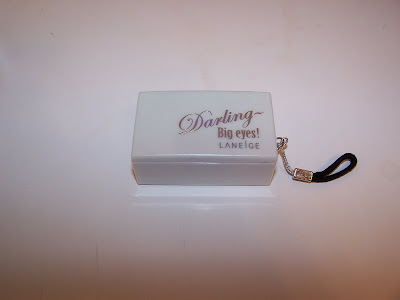 The palette is ultra tiny and has a little hanging loop on th end which I guess you could use on your cell phone but I’m not so nuts I’ll be using this as a cell phone charm! 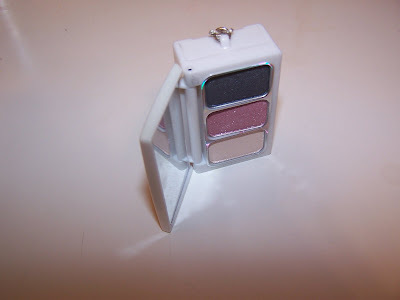 This contains three shimmering shades of shadow in silver blue, pink, and cream. It flips open to reveal the three shadows and mirror plus it has a sweet little draw that pulls out to reveal two sponge applicators! I haven’t yet used the shadows but I have dabbed my finger in and it appears they are quite pigmented! I think most of the appeal of the palette is it’s size and cute design! Overall, it’s definately a really cute collector’s item and I’m properly chuffed to finally have it! I wish I could tell you the price but I failed miserably at ever locating this so I don’t know it’s original price tag! This particular one is a gift and I don’t want to be rude and ask how much the person paid for it! If you happen to live in Asia definately have a look around and see if you can locate one! 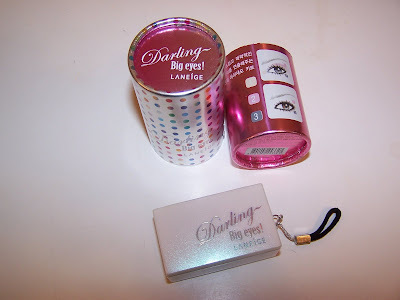 I’ll be doing an FOTD shortly with this and I’m eager to try it out for size! I’m also slightly hesitant to use it as it’s too cute to spoil by dipping my brushes into it! Sigh! Tell the Muse what you think! Good luck finding it as I had the devil of a time locating one! Sweet merciful Christ, I am in love with this thing! 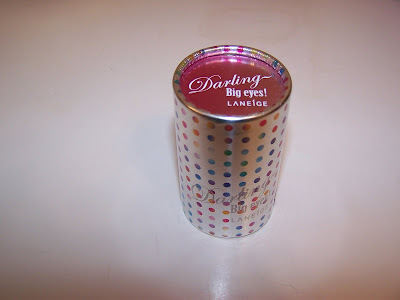 The polka-dot packaging alone is enough to make me swoon, but that blue eyeshadow is giving me a happy little tingle. Please Musey; locate it for us! my god isn’t it the awesome? I’ll do my base captain! God this thing was difficult as hell to find!!!!!! I looked, and looked and looked and couldn’t locate it anywhere! I was so freaking happy someone got it for me!!!!!!!! I’ll look some more 😉 and see what pops up! 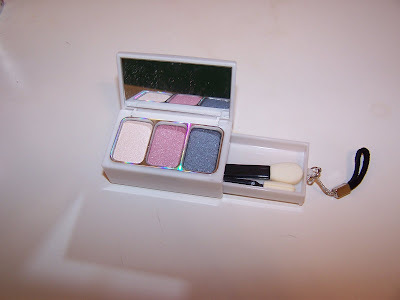 I saw one of these just the other day at Hk Facial Shop (.com) but I choose the snow crystal set instead which has 9 shadows? It’s SOOO adorable! 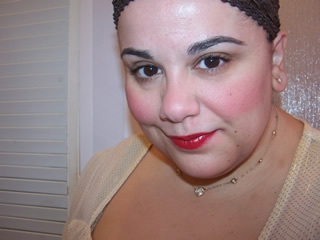 I can’t wait to see your FOTD with it!!! Hurry! ROW You’re KIDDING! SHE DOES!? I always check her site and order from her and didn’t see this! HOLY COW! Wait you got the 9 shadows too!? You’re the 3rd person that got it. Let me see pics! go email right now young lady! i’ll lurve you if you share pretty pics with me! Isn’t it!!!! LOL you’re right! 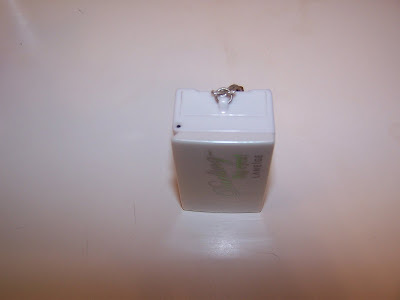 Sadly I probably will hang it from my cell because I’m such a diseased cosmetic freak! Love your blog, always reading it! Thanks so much, glad you enjoy my Musings. I’d try E-bay if you are desperate but be aware prices are crazy high compared to retail!